Shipping costs have continued to increase at a rapid pace since 2009. In fact, these costs have risen seven times faster than the price of products shipped. And for most producers, retailers included, raising your prices to make up for shipping costs is simply not an answer because consumers will search and find lower prices elsewhere. So, the sizable bite of shipping costs can only continue to cut into your profits. But you do not have to idly stand by and let that happen. Here is how you can reduce your freight costs. The most obvious way to reduce your freight costs is to shop around for the lowest rates between different carriers. It is easy to always use the same delivery method or carrier to save time and avoid hassles. Shopping around for rates with national or local carriers can be time consuming, so you will need to balance out your priorities. But you could be rewarded with lower freight costs for your time and effort. If you like the carrier you are using, it pays to build your relationship with them. By building a long-term relationship, your carrier knows that he will have you as a steady customer. He is more likely to provide better service and market backhauls. By signing a long-term contract with your carrier, you could be able to lock in better freight rates and avoid rising prices throughout the term of the contract. There are several ways you can consolidate your freight. You could work with your various suppliers and fellow nearby shippers to combine shipments to save on shipping costs. Another strategy to reduce freight costs is to consolidate less-than-truckload (LTL) into full-truckload shipments. You could also offer incentives to your customers for consolidating several shipments into larger loads. By consolidating loads, you could possibly reduce your freight costs by up to 25 percent. Carriers will usually base their pricing on an estimated two-hours of loading time. If you are consistently able to load your pallets under an hour, you could potentially reduce your freight costs. Once you gain a reputation as a fast loader, you have some leverage to request better rates from your carriers. Why? Because the less time spent loading means the faster the carrier’s truck can get back on the road and be servicing more customers. The carrier will be more willing to give you a discount in their contract. Whenever possible, schedule your shipments for pickup on off-peak days or times. While this might not be feasible for perishable goods, this strategy could certain work for non-perishable cargo. You could possibly save up to 10 percent on your freight costs in comparison to what your costs would be shipping on peak business days. The best off-peak days where shipping volumes are low for carriers are Fridays and Mondays. You could also reduce your freight costs by working with your carrier to have loads picked up into a backhaul. This type of deal can be a win-win for both you and the carrier and possibly reduce your standard rates by up to 20 percent. 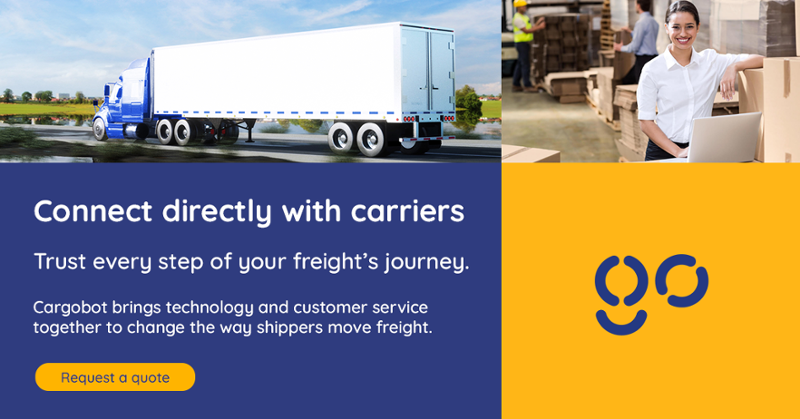 There is a new way for shippers to connect with carriers to find the best rates for moving your freight. Cargobot is a free and easy-to-use platform that frees up your time from searching for the best freight rates. Instead of dealing with brokers, you can have carriers bid directly on your jobs. There are no added booking fees because the carrier pays a flat 10 percent fee for the booked load. And you do not need to worry about whether you are receiving quality service just because you are paying reduced freight costs. Cargobot only recruits carriers from across the country who are FMCSA compliant and ready to accept loads. Learn more about how Cargobot can reduce your freight costs by requesting a quote online or call us at (855) 902-4694.